Unfortunately the taxi that had been ordered never arrived - I think it got snatched by the large hotel just opposite. We decide to head to the main road and take a taxi from the taxi rank there rather than just wait forever. Luckily it proves to be the correct decision and before long we're on our way to the station. The trip is nowhere near as entertaining but nowhere near as expensive only costing €12! 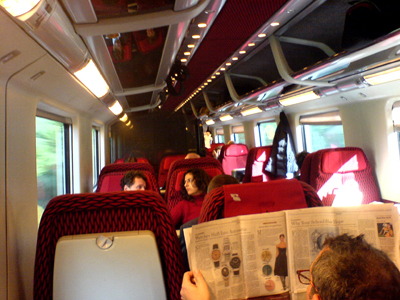 The train to Florence is the Italian Eurostar branded trains and it only takes a very brief 1 and a half hours to complete the trip.